I'm just going to come out and say it; YouTube is a nearly daily occurrence in my house. My Toddler thinks he would cease to exist if I didn't let him watch his favorite Play-Doh Kinder Surprise Egg videos. It's ridiculous. Over and over, he will watch the same things come out of the same eggs, and yet, be mesmerized like it's the first time. I thought this was only my child, until a recent playdate, when both our children wanted to watch the egg video. "WHAT?! Your kid is obsessed too?" Talk about mind blown when my friend tells me how she has to make the eggs for her son. But, first, he supplies her with the things to put in the egg! Then she rolls out the Play-doh and gets to work. Besides the fact that she''s in the running for both 'Mom of The Year' and 'Sucker of the Year', she made me feel so much better knowing it wasn't only my kid. Then, I started asking other moms if their child was YouTuber too. It turns out, THEY ALL ARE! It's not just my kid, or your kid, it's all of them! One by one, they are showing each other the magical world of YouTube, where you can watch ANYTHING! Of course, this love for YouTube was not born from kids watching mindless shows, it started because we let them watch nursery rhymes, and educational clips. I know, I created the beast, but at least I can still tame him with YouTube parental controls and streaming specific educational channels. And thankfuly, since my kid is three, pretty much anything on YouTube is exciting to him. Once you have a handle on YouTube Kids, you start to realize there are all kinds of channels. (Just like on TV) This way, you can really hone in on what you want your child to watch. I prefer channels that have a great mix of fun and educational content for kids. Ollie gets bored of the same nursery rhymes or shape shows. A great example of a channel with a fabulous mix of fun, engaging and super educational shows is, HISHE kids. Interjection: Most likely, if you watch YoutTube at all, you have seen a HISHE--How It Should Have Ended-video (The HISHE channel has 4.6-Million Subscribers!). Tina Alexander (Co-writer/Creator) and Daniel Baxter (Artist/Animator), have won so many awards for a multitude of videos, and have been featured on every single Radio and TV show you can imagine. Recently, you may remember their Parody 'Frozen How It Should Ave Ended'. That video went mega-viral with over 30-million views and counting! Ok, sorry, I digress, back to YouTube channels and why they may be the better choice if you're looking for specific content and why HISHE Kids is a pretty cool option. Since, we are all visual people, here's a video that explains the channel and how the content is super fun and educational; especially for our toddlers! 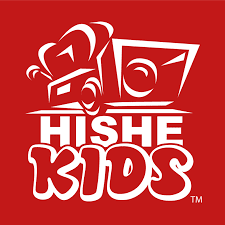 Watch the shows and some funny parodies on HISHE Kids Channel HERE. How do you and your child watch YouTube? DO you have favorite channels?